Create a bespoke box of chocolate treats for your loved one! 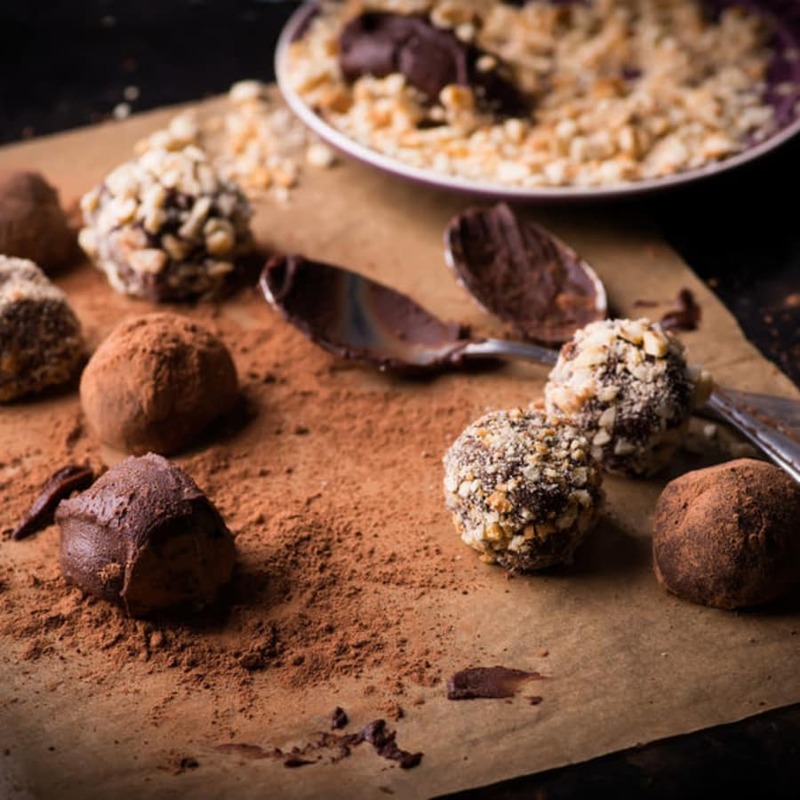 Learn from Professional Chef Laura Leaver about the Magic of Chocolate and create your very own box of chocolate treats to gift to the one you love! The class will begin with a chocolate tasting, an art in itself. You will learn how to appreciate the subtleties of cocoa content, and discuss the calibre of a variety of chocolate that is available in the UK. Laura will discuss and demonstrate the art of 'tempering', that gives chocolates that glossy snap that is so treasured by Chocolatiers around the world, before every student has a go themselves. 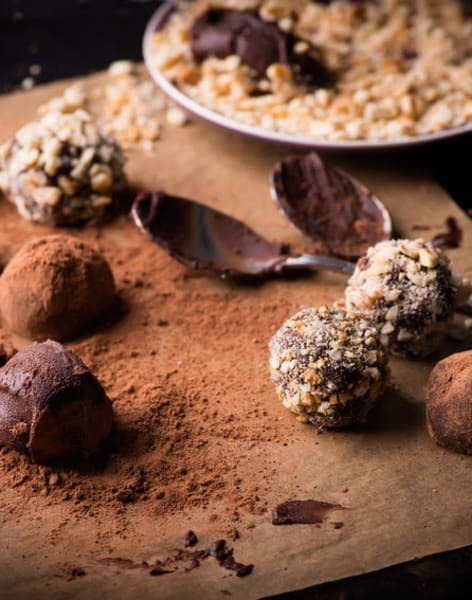 You will learn how to make a classic dark chocolate ganache truffle and a variety of ingredients will be at your disposal to create your very own box of bespoke covered treats. Nuts, seeds, cocoas and flowers will be available for you to personalise your gift, and create your very own flavours. Next, we will create a classic vintage treat 'Cinder Toffee'. A flavour, almost forgotten, that is now having a little bit of a resurgence as we hanker for tastes of our childhood and old fashioned methods. The rather tricky art of making this candy that is also known as 'Honeycomb' or 'Hokey Pokey' is easy when you know how. 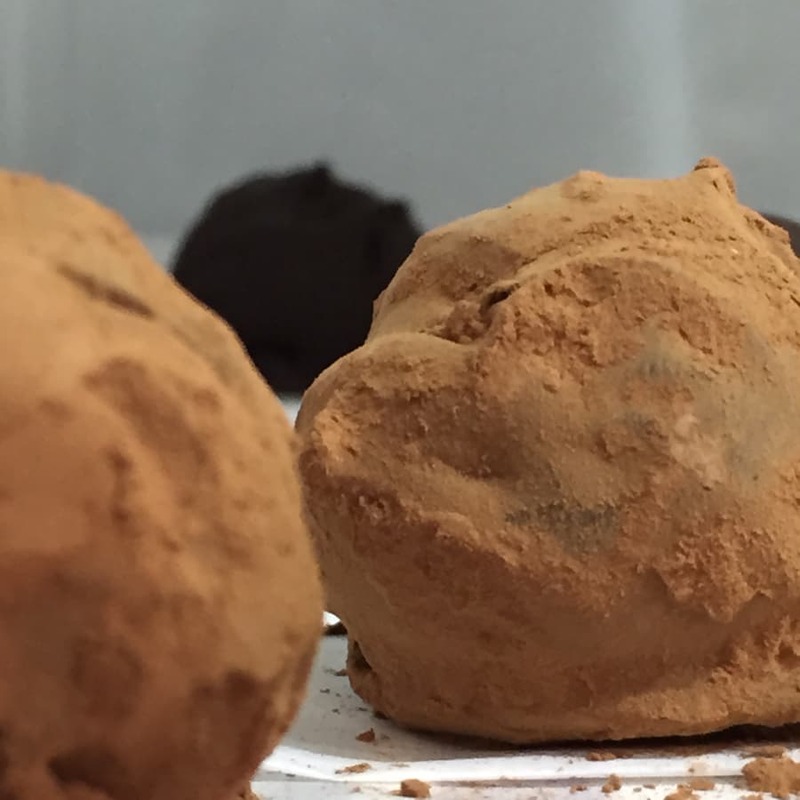 And, once dipped in dark chocolate and sprinkled with chilli salt, it becomes a very elegant and moreish treat, that will look right at home with your bespoke truffles! Lastly, a Valentines gift box would never be complete without a chocolate dipped strawberry. Laura will teach you the delicate method of covering fruit in tempered chocolate - one that requires swift work and deft fingers, but is well worth the effort! Every student will leave with their very own box of treats, each one unique. You do not need to bring anything with you - we will provide you with everything you require including aprons, all knives and equipment, and packaging to take home your creations. This definitely will be my best Valentine present in years. I’m pretty confident my wife will love the chocolate. Laura is a fantastic teacher. I’m not the most knowledgeable person innthe kitchen but she helped me to create a wonderful box of chocolate. She made the difficult process of creating truffles so easy. 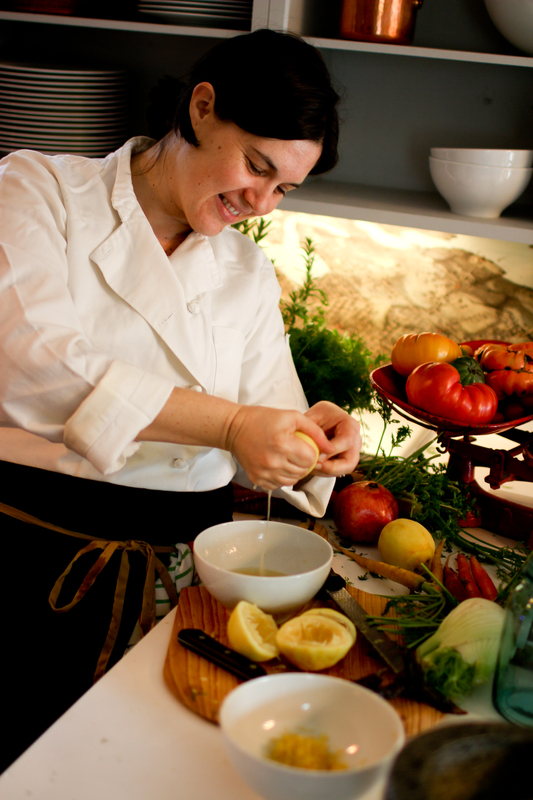 She teaches in her own kitchen which makes you instantly feel welcome. I will be back next year for another chocolate challenge. I love to eat chocolate but I never imagined I will be able to create my own box of chocolate. Laura made everything so easy to follow. Her handouts are simple and easy to follow. I managed to create my own truffles with different flavours the weekend after. I’m looking forward to attend another of her classes maybe pasta. If you have any allergies, please get in touch with Obby. By purchasing this class you are confirming that you understand that you will be working with potentially dangerous kitchen equipment and that you waive any and all rights to make claims for any injury or accident sustained. Please ensure you arrive on time (but not too early as we will be setting up)! I can highly recommend grabbing a coffee at one of our lovely nearby cafes if you arrive early!